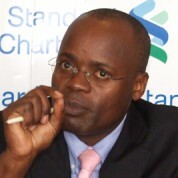 Herman Kasekende was appointed Chief Executive Officer & Managing Director of Standard Chartered Bank Uganda effective from 22 July 2012. Herman is not only the first Ugandan CEO for Standard Chartered Bank Uganda; he is also the first Ugandan CEO in the Standard Chartered Bank Group. Herman joined Standard Chartered Bank in 1998 from the now defunct Nile Bank and has since held various positions in different functions with the most recent being Regional Head of SME Products & Solutions – Africa, Standard chartered Bank, based in Nairobi, a role he held for a few months. Previously, Herman served as the Head of Consumer Banking Standard Chartered Bank Uganda, a role he held for 4 years. He also worked in Standard Chartered Bank Uganda as General Manager – SME Banking, General Manager – Shared Distribution, Senior Relationship Manager- Wholesale Banking, and on short term assignment in Standard Chartered Bank Singapore. Herman has a wealth of knowledge on SMEs and the consumer banking operations, has demonstrated strong leadership skills and is a proven change agent within the Bank which will strengthen Standard Chartered Bank Uganda’s operations. He also over the years sat in for the serving CEO in acting capacity thus grasping the management of the bank at the realm. Herman holds a Post Graduate Degree (MA, International Econ. & Finance). He is also married with three children and enjoys Swimming, Jogging and Volunteering.